Description: An Armigeres subalbatus mosquito of the 'Nagasaki colony' was depicted in this 2005 photograph, as she was ingesting a blood meal after having lighted on a human finger. 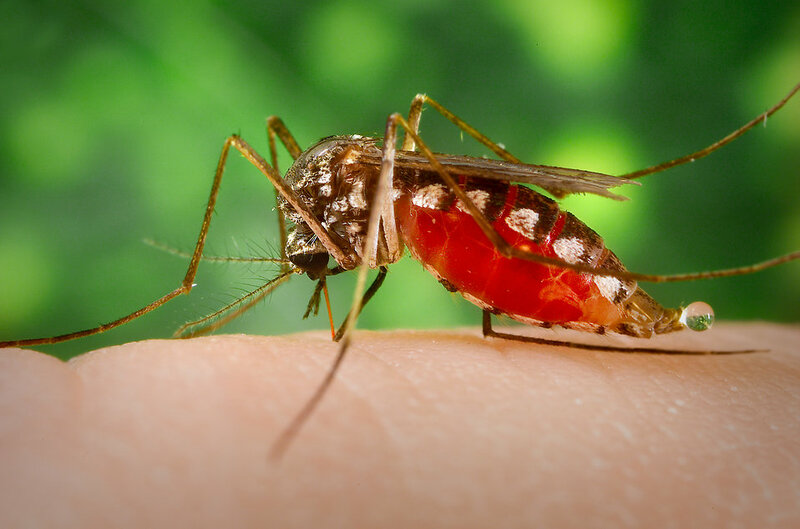 Note the pooling of the blood inside the mosquito's abdomen as it fills its stomach. The blood was being suctioned through the insect's proboscis, which is its straw-like mouth that is used to penetrate the host's skin much like a syringe.